THE Virgin Mary, the mother of Jesus, is the most revered woman in the Christian tradition. In the history of art, she appears almost as frequently as Jesus himself. But for the past 80 years, one of the oldest paintings of her may have been hiding in plain sight. At the Yale University Art Gallery hang wall paintings from one of the world’s oldest churches. Buried by the middle of the third century, this house-church from eastern Syria had images of Jesus, Peter and David. The gallery showcases a well-preserved procession of veiled women that once surrounded its baptistery, a room for Christian initiation. 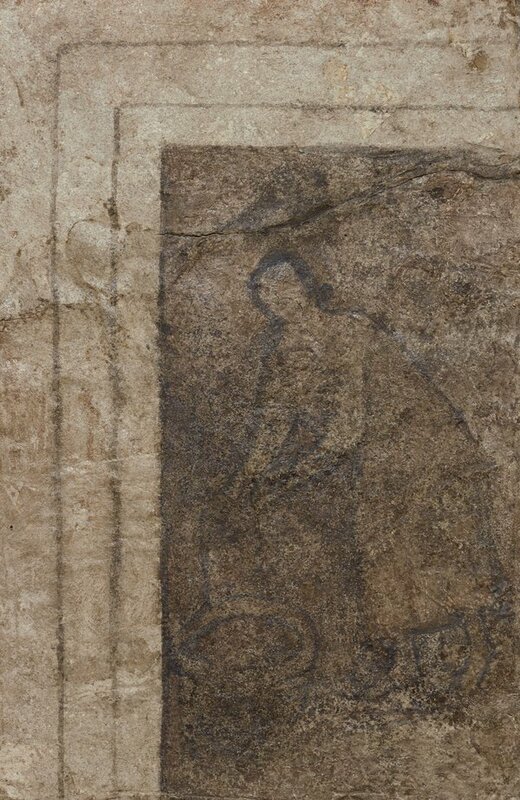 Off to the side, seldom noticed among the likes of Jesus and Peter, stands a different wall fragment, faded but still discernible: a woman bent over a well. Holding the rope of her vessel, she looks out at the viewer or perhaps over her shoulder, seemingly startled in the act of drawing water. Who is she? The museum’s identification is certainly plausible: “The painting most likely depicts a scene from the encounter between Christ (not shown) and a woman from Samaria,” as recorded in the Gospel of John. But historians also know that the Samaritan Woman, a repentant sinner who conversed at length with Jesus, was usually depicted in dialogue with him. This woman appears to be alone. Is it possible that a painting from a building excavated in 1932 and publicized around the world has not been correctly identified? These murals come from the eastern frontier of the Roman Empire, a military outpost variously called “Dura” or “Europos” in antiquity. Perched high above the Euphrates in the region that is now called Deir ez-Zor, the ruins of Dura-Europos have yielded more distinct artifacts than almost any other ancient archaeological site: an intact Roman shield, a lavishly painted synagogue, a temple to the gods of nearby Palmyra. It is the “Pompeii of the Syrian desert,” declared Michael Rostovtzeff, director of Yale’s excavations at the site. But no Vesuvius buried this Pompeii. Portions of Dura-Europos were buried intentionally, to bolster a rampart against a Sasanian army invading from the east in the 250s. The misfortune of the Roman garrison, which lost the battle, would become good fortune for historians. The earthen rampart sealed cross-sections of many buildings, including the house-church, so that both contents and date were secure. The church’s painted baptistery remains a unique discovery. Outside of funerary contexts, such as the catacombs in Rome, there are precious few Christian paintings from before Emperor Constantine’s conversion to Christianity in the fourth century. These also offer a glimpse into the beliefs and rituals of Syrian Christians, a community currently in peril. 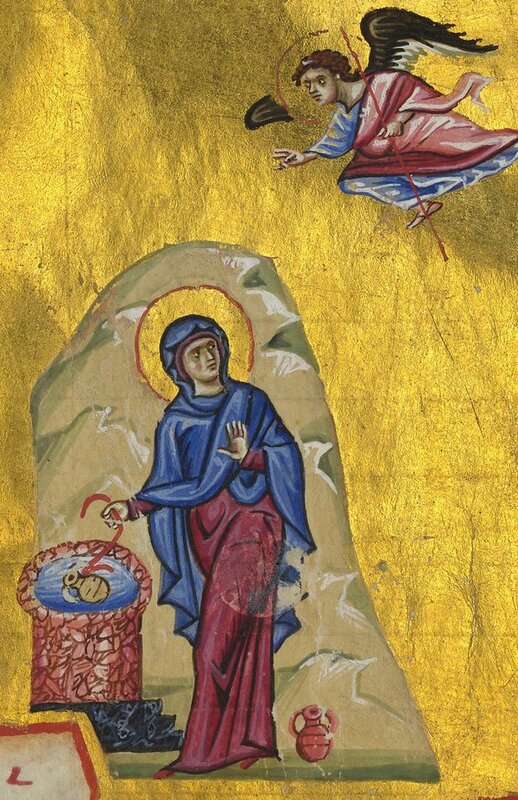 While the Samaritan Woman at the Well was a respected biblical figure for early Christians, there was actually a more prominent “woman at the well” in Syria: the Virgin Mary during the Annunciation, when an angelic visitor informed her of her miraculous pregnancy. Where does this episode take place? The setting of the canonical account, in the Gospel of Luke, is not specified. But the second-century biography of Mary’s early life, usually called the Protevangelium of James, describes how one day, during a break from her work, “she took the pitcher and went forth to draw water, and behold, a voice said: ‘Hail, you are highly favored, the Lord is with you, blessed are you among women.’ And she looked around on the right and on the left to see from where this voice could have come.” During this first encounter, at a well or spring, the angel was heard but not seen. Mary appeared to be alone. Most people, when they imagine the Annunciation, have in mind some western Renaissance masterpiece: a studious, cloistered Mary welcoming the angel from the comfort of home. But Byzantine images of the scene, though coming centuries later than the figure from Dura-Europos, bear an arresting formal resemblance to it. The brilliant illumination in James of Kokkinobaphos’s “Homilies on the Virgin” and the grand mosaic from the Byzantine monastery at Chora in Istanbul both demonstrate the importance in eastern Christianity of placing Mary at the well. Some manuscripts even depict this type among illuminations of the Gospel of Luke itself, showing that artists preferred the evocative iconographic traditions of the noncanonical text over the unspecified setting of the canonical one. At Chora, Mary’s figure can also be contrasted with the portrayal of the Samaritan Woman in the same church, who looks across a well at a pictured Jesus. The woman at Dura-Europos has yet more secrets to reveal. Archival photographs and drawings made by the archaeologists on site show that the supposed absence behind the female figure is not totally silent — it speaks a couple of lines. 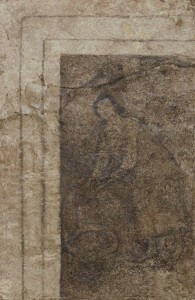 That is to say, a field sketch of the wall done “to show additional details” depicts two painted lines touching the woman’s back, along with a kind of starburst on the front of her torso, features described as “unexplained” in the archaeological report. But with the new interpretation of the figure, in connection with the Eastern iconography that came later, the lines invite a rather evident meaning. They appear to represent a motion toward the woman’s body and a spark of activity within it, as if something invisible were approaching and entering her — an incarnation. If correct, this woman at a well is the oldest securely datable image of the Virgin Mary. Devotees of the Roman catacombs may demur, since a few female figures there are often presented as Mary. But these are challenging to date with certainty, and many scholars argue that the proposed examples have insufficiently specific iconographic signifiers. Identifying the oldest image of Mary isn’t an end in itself. Reidentifying this woman helps us to ponder anew the distinctive emphases of early Christians in Syria, who in this baptistery celebrated salvation through images of marriage, pregnancy and birth — as much or more than through participation in a ritualized death. This is not to undermine the power of Jesus’ passion and resurrection accounts, but rather to rebalance the perspective of modern Western viewers, looking back after centuries of art focused on the cross. In the extant art from Dura-Europos, we see the hope of new spiritual birth, but the death of Christ is not pictured once. Today the paintings from this church are safe. But further opportunities to understand early Syrian Christianity are slipping away, as the archaeological sites of Deir ez-Zor are being systematically plundered under the auspices of the Islamic State. According to satellite images and reports from the ground, the looting pits at Dura-Europos are innumerable. Even while the human tragedy of the refugee crisis justifiably occupies our attention, the destruction of cultural heritage tells a parallel narrative. Images from this ancient Syrian church are thus much more than museum pieces. They illuminate a people and heritage that need salvation — and not the kind of salvation found in a baptistery. Even the devil believes that God exists. Believing has to change the way we live. Faith is one foot on the ground, one foot in the air and a queasy feeling in the stomach. If you are following God, he never shows you the end. It’s always a walk of faith. Unless you are willing to do the ridiculous, God will not do the miraculous. Everyone drags his own carcass to market, so be careful. Love is not a feeling; it’s a decision. You can’t go to heaven hating somebody. Forgive now. St. Jerome used to hit himself with a rock every time he lost his temper. I’d be dead as a doornail with no ribs if I did that. If you’ve got a cross, carry it. It’s to make you holy. Those who tell the truth love you. Those who tell you what you want to hear love themselves. Once you contemplate the humility of Jesus in the Eucharist, how can you possibly justify your pride? It takes a lot of guts to be in pain all day long. Don’t say, “If it weren’t for that person I could be holy.” No; you can be holy because of that person. Your plans, your projects, your dreams have to always be bigger than you, so God has room to operate. Faith is what gets you started. Hope is what keeps you going. Love is what brings you to the end. 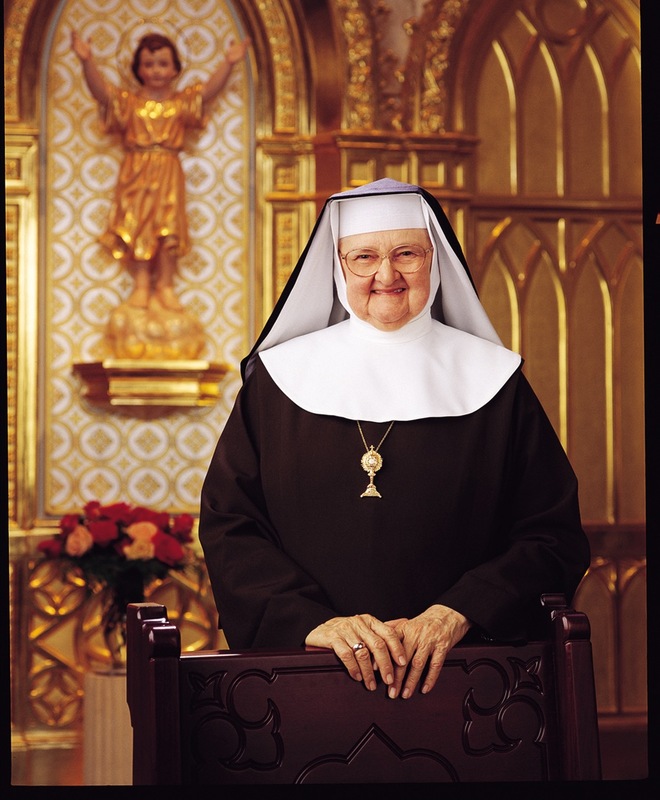 Holiness is a beautiful struggle. I guess that is what dying must be like: to be finished and to be able to look back at the struggles of life and know that God was your constant companion. God looks for dodos. A dodo doesn’t know it can’t be done. God uses dodos, and I’m a dodo. God wants you to be in the world but so different from the world that you will change it. Get cracking.